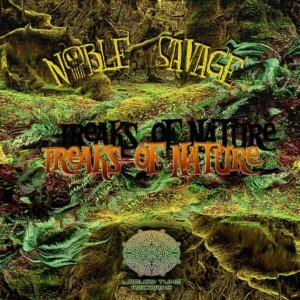 Liquid Tune Records presents its sixth release, the latest work by Swedish psytrance wizard Noble Savage: Freaks Of Nature. This release features an entrancing mixture of Goa trance and classic Scandinavian forest music made for the morning hours on the open dance floor. The old school spirit shines throughout this hypnotic five track journey into the roots of psychedelic trance. Mastered by Oberon (except tracks nr.2 & 4 by Noble Savage) with artwork by Therange Freak. Last edited by mans on Sat Jun 11, 2011 9:43 am, edited 1 time in total. Awesome thank you mans ! Cool! Noble Savage is back! Woo Cant wait to here it! Thanks for the share! Listened to this one last night! Love it man, great work! Last edited by Retohmorgon on Wed Jun 15, 2011 4:36 am, edited 1 time in total.